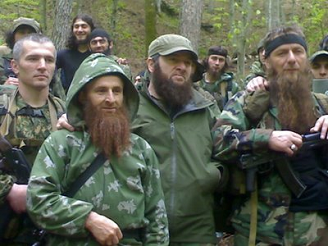 Why is an Islamic Caucasus incompatible with Russia? In order to answer this question we must take account of the fact that Islam is a religion which unlike all other religions allows no compromise in matters of worship and imposes a categorical demand for disengagement from unbelief. Proceeding from this simple logic, believers must differ from the unbelievers in their pious way of life, which again is only possible in a situation where a person is independent in his deeds and actions. Man was originally created free, and he is forbidden to be a slave to his own kind. Because Almighty Allah has given him the mission of establishing His law on earth. On the whole of the earth. But human beings have divided the one religion into several: Buddhism, Judaism, Christianity and other faiths. In the eyes of Allah, however, there is only one religion, and it is not called by the name of any prophet or people. The name of the true religion is given by God and fully reflects His essence. The word “Islam” means submission. All the prophets summoned men to submission, and, therefore, to Islam. And when Muslims summon the world to Islam, it is a call to obey and worship God alone. And no one can deny that this call was originally present in both Judaism and Christianity. Therefore, in answer to the question: “What is Islam?”, we say: "Translated into Russian, Islam means obedience to the Almighty Creator." For centuries peoples and states have waged war for the supremacy of their God. The victor in such conflicts acquires power, establishes the laws of his deity and passes judgement in the name of that deity – in the name of the King, the Emperor, the People, the Republic and so on. All these are deities, raised to the rank of the absolute by the holders of power. Submission to the law is a choice in favour of the legislator, the monarch or parliament. It is a recognition of their absolute right to issue laws – to prohibit or authorize, to judge, to punish or pardon. Which, in turn, means that there can be no other laws, and that obedience to the law is also divine worship. The one who imposes his law says: "No other laws". The Koran puts it like this: "No to everything that does not comply with the laws of Allah. Russia also says: "No to everything that does not come from the Kremlin!" – thus breaking the monopoly of the power of God. To take a wider view: all states emerge as centres of power, opposed to the power of the Almighty. They adopt an uncompromising stance and wage war for the establishment of their laws. So that originally it was Russia that espoused the position of separatism in its attempt to escape from the jurisdiction of the Almighty. There is no dispute between Russia and an Islamic Caucasus except one about which law shall be supreme – the law of God or a godless law. All other issues can be resolved peacefully. This is clearly illustrated by the Moscow-backed regime in occupied Ichkeria: the regime is permitted all and forgiven all in exchange for an acceptance of the supremacy of Russia's law. Today the Russian President embraces those who only yesterday were called "terrorists", and showers them abundantly with money. Our Creator, Great and Holy be His Name, did not divide the different peoples of the earth into different religions. The principle of monotheism in the religion of Allah is immutable. Moses, Jesus, Mohammed and the other prophets, the blessing of Allah be upon them, were sent to renew Islam, to bring people back from artificial laws to the law of the Creator. All the prophets were obedient to their Creator, and that means that they were Muslims. The Prophet Moses, peace be upon him, brought his people out of Egypt, the strongest empire of the time. Moses was not compatible with Egypt, even though he could have taken high position at the court of Pharaoh and thereby alleviated the plight of the people of Israel. But he brought them out of famine in the wilderness for one simple reason – so that they could worship the One True God, adhering only to His law. Likewise the Prophet Jesus, peace be upon him, was not compatible with pagan Rome. The Jewish nobility lived in luxury, having made a compromise with the procurator of Judea. Why was Jesus, peace be upon him, sent to them with the Gospel? After all, they already had the Torah. Again, it was because the Jews had distorted the law of God and made a deal with the Gentiles, submitting to Roman law. Jesus provoked their wrath and enmity because of his call for a return to the law of Allah. It violated their well-fed, measured way of life and deprived them of the privileges they had been granted by Rome. When Russians who consider themselves Christians try to appear tolerant, they say: "May God and Allah help us." They assume that there are two gods: theirs (the Christian God) – and that of the Muslims. But in reality there is only one God, Allah. In order to answer this question we must take account of the fact that Islam is a religion which unlike all other religions allows no compromise in matters of worship and imposes a categorical demand for disengagement with unbelief. Therefore, in answering the question: “What is Islam”, we say: "Translated into Russian, Islam means obedience to the Almighty Creator." The one who imposes his law says: "No other laws". The Koran puts it like this: "No to everything that does not comply with the laws of Allah." Russia also says: "No to everything that does not come from the Kremlin!" – thus breaking the monopoly of the power of God. To take a wider view: all states emerge as centres of power, opposed to the power of the Almighty. They adopt an uncompromising stance and wage war for the establishment of their laws. So that originally it was Russia that espoused the position of separatism in its attempt to escape from the jurisdiction of the Almighty. There is no dispute between Russia and an Islamic Caucasus except one about which law shall be supreme – the law of God or a godless law. All other issues can be resolved peacefully. This is clearly illustrated by the Moscow-backed regime in occupied Ichkeria: the regime is permitted all and forgiven all in exchange for an acceptance of the supremacy of Russia's law. Today the Russian President embraces those who only yesterday were called "terrorists", and showers them abundantly with money. .
Today people are accustomed to the notion that the majority is always right and that the minority must obey it. But this formula has been concocted by the minority that holds power in order to delude and control the masses. On this principle so-called "democratic elections" are organized. For Islam this is unacceptable. This world is constructed in such a way that the capable and conscious are always in the minority. They are, as the Koran says, the leaders, and the others are the led. And no one will argue that society consists mainly of leaders. The majority of people are led, which means that they are not free in their choice, and only duplicate the opinion of the leader. Therefore, the "elected" ruler of the masses is not really legitimate. He and his party are simply hustlers who have managed to convince others that they are worthy of holding power. In Islam, the approach to the question of power is rather uncompromising. To put it in modern terms: the legitimate ruler is the most pious of the believers. A Muslim does not offer himself for power – on the contrary, he is offered by others. The truly God-fearing ruler is a servant of the people over whom is appointed. Of course such a system of election will not be accepted by Russia, nor by any of the existing regimes in the world. They are the real irreconcilables, irreconcilable with the One Creator of all things. Hence like all Muslims whose principal mission is to build a just society on just laws, an Islamic Caucasus is incompatible with Russia. Yusuf Ibrahim is editor of the publication Kavkaz-Monitor.